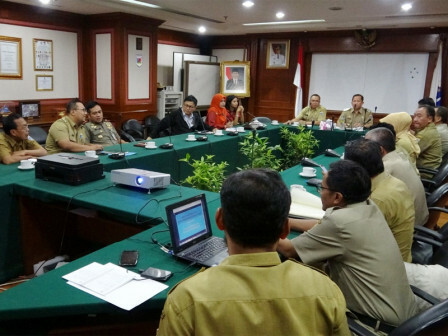 North Jakarta prepares a plan to arrange location under Wiyoto Wiyono Toll in order to handle garbage pilling at RW 07 and RW 08, Papanggo Urban Village, Tanjung Priok Sub-district.
" We ask locals for their opinions regarding park utilization plan"
North Jakarta Vice Mayor, Ali Maulana Hakim explained, this arrangement involves PT. CMNP, who is responsible for toll road. "We ask locals for their opinions regarding park utilization plan and ensure CMNP's authority," he said, Tuesday (1/29). His side still awaits for central government's decision related to the authority to manage under the toll for long-term arrangement. Because currently Bina Marga General Director entrusts CMNP only for toll road management. Jakarta Government has requested to get an authority to participate in managing the location thus arrangement can be done comprehensively. While waiting for the instruction, his side and PT. CMNP arrange the location temporarily, such as removing the dumpsite, cleaning area under the toll from illegal parking and illegal shacks.